Top 25 Motorcycle Models in 2016 That Totally Killed It! 2016 has been a good year in the world of motorcycling, with manufacturers launching various new models. With a wide range of bikes hitting the market, which are the top bikes that made a mark in 2016? This bike has made a name for itself as the ultimate street bike of all-time. The RC213V-S is an uncompromising bike created by taking a MotoGP bike and making slight changes to make it street legal. However, two challenges stand in the way of American buyers: getting their hands on the HRC Race Kit and unleashing its full potential. The Thruxton had always been underpowered in the Triumph line. 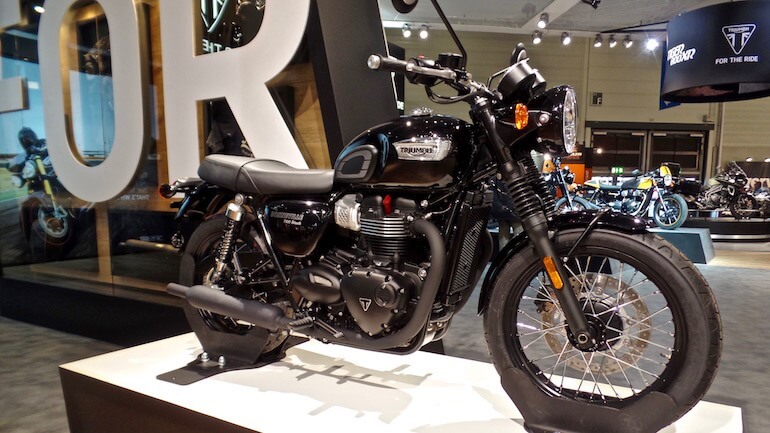 However, for the 2016 version, the Thruxton’s engine received a boost from 850cc to 1200cc. The R version features Showa and Öhlins suspension, giving the bike exceptional handling. The new engine is delivers 112 ft/lbs of torque early in the rpm range. The improved performance and magnificent ergonomics have made this model a special one. For fans of the S 1000 RR and S 1000 R, the S 1000 XR is definitely an interesting addition. With the former ones being a superbike and sport bike, the S 1000 XR is a sport tourer. It borrows most of its attributes from its brothers. 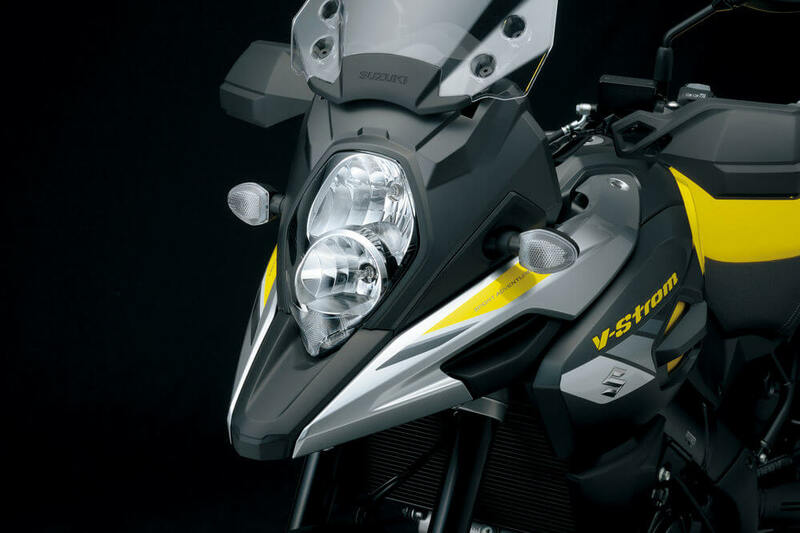 The S 1000 XR features flawless handling, outstanding ergonomics, and a potent inline-4 engine. 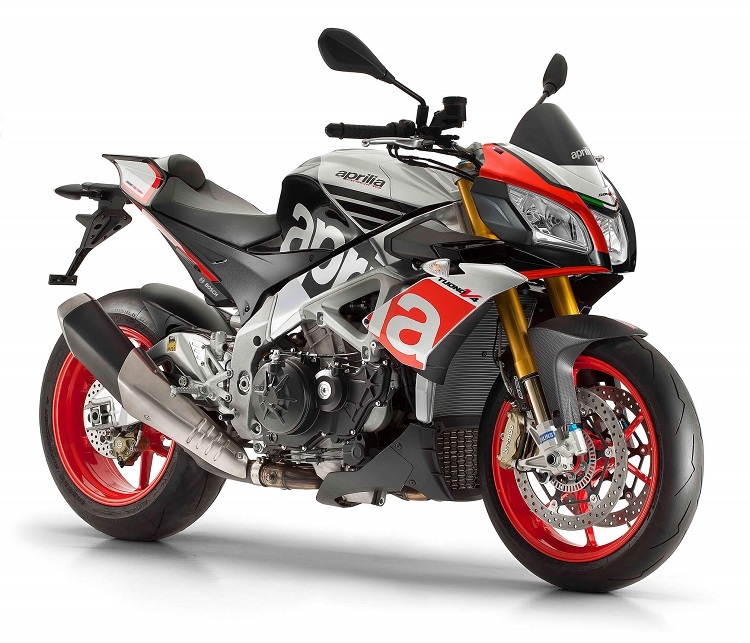 For this year’s model, Aprilia fitted the Tuono V4 with a 1077cc, capable of an impressive 175 hp and 89 ft/lbs of torque of torque delivered at 9,000 rpm, more than enough to satisfy those craving fast acceleration. The XSR900 is the newest addition to Yamaha’s Heritage Sport Line. It borrows the 847cc engine from the FZ-09, but features firmer and more adjustable suspension to deliver impeccable handling. The ergonomics of the bike are both traditionally sporting and comfortable. The Multistrada 1200 platform is one that has immense potential. However, earlier versions of the motorcycle weren’t very good off the road. The Multistrada 1200 Enduro is different, as it comes ready for some light off-roading. The 1200 Enduro shines on the road, with excellent pure-sport and sport-touring capabilities. Even though the GSX-S1000 uses the torquey engine from the older GSX-R1000, it is the first superbike Suzuki has released that features a full TC and ABS suite. This makes going fast quite intuitive. The bike is even more tempting, as it has a sub-$10k MSRP. The best part is that Suzuki gives an unlimited mileage warranty. When one first looks at the Roadster, it is quite hard to fully know what to make of it. It comes with bars that look strange on a Sportster. However, anyone will agree that the stout front end is quite appealing. It makes a great cafè rider. It is a fun rider on the backroads, in the city and on the freeway. This model showed that Honda was quite serious when it came to the Africa Twin. CRF is a designation for off-roading. The Africa Twin makes for a dirt bike when fitted with knobby tires and is designed to be a solid adventure-touring bike. The DCT is also a welcome move from Honda. Supermoto bikes have slowly been disappearing from showrooms in the past few years. This is sad, as the bikes are quite fun in the city and canyons. Husqvarna has breathed new life into the genre with the 701 Supermoto, a bike that delivers pure performance and fun. With a smaller engine and gearbox than the standard Indian Scout, the Scout Sixty still has adequate power and remains rev-happy. The bike is still quite refined around town. The chassis remains the same, and thus aftermarket shocks are a necessary modification. The rest is all about personalization. The XDiavel S is a serious cruiser, with the Testastretta DVT 1262 motor that is capable of delivering 156 hp and 100 ft/lbs of torque. Like its other brothers in the Ducati lineup, the XDiavel S has fantastic handling, making it the bike of choice when attacking a backroad. Motorcycle enthusiasts have always been looking forward to an FJR1300 that features a six-speed transmission. Well, in 2016, Yamaha made this a reality. The FJR1300ES is faster and rides smoother, even at high speeds. It is a sport-tourer that keeps that category relevant today. The World Championship capabilities of the Ninja ZX-10R have repeatedly been shown by Tom Sykes and Jonathan Rea. Kawasaki made a few changes to the 2016 model to improve the handling. The new cassette-style transmission will be very appealing to track guys, as it allows for easy swapping out and in. The standard Low Rider proved to be quite successful, and this Low Rider S model comes with more power, better handling, and stunning looks. The motor produces 115 ft/lbs of torque at a low 3,500 rpm. With a nice set of tires and a comfortable lean angle, the bike is well suited for the canyons. The gold wheels and black accents also make it fit well in an urban setting. Another DCT offering from Honda on the list, the VFR11200X DCT is tuned for sport adventure. It is a good performer on the road and is perfect for long distances. For more adventure, the bike performs exceptionally on winding roads. It comes with a potent 1237cc motor that produces sufficient torque to hull both the rider and his luggage. The Springfield comes with a retro leather-and-chrome look, coupled with the Thunder Stroke 111 engine. Power is more than adequate and available when needed. Gentle power delivery makes the bike easy to ride. The new Street Twin made a move from an air-cooled motor to a liquid-cooled engine. Even though some sensibilities might be upset, the 900HT is a great motor, making for a great city bike. Its torque and authentic styling are definitely its strongest points. The 959 Panigale is a bike that carves a path of its own, an aggressive one at that. The L-twin engine screams all the way to a five-figure redline, producing a whopping 157 horsepower. Showa and Sachs suspension makes for high-end handling, making the 959 Panigale a suitable track bike. This bike is capable of smoking other riders at the lights. Raw straight-line performance the elegance of being a machine from CVO are enough to define this bike. To help the bike remain on a straight line are 240mm rear Dunlop tires. The CVO Pro Street Breakout can be quite rewarding when driven on its own terms. The R 1200 RS, a much-loved classic, makes its way back into the BMW line. The new version, which is better than ever, comes with Dynamic Electronic Suspension Adjustment and a host of other electronic options. The 125hp motor makes for a convincing choice in the case of this sport-tourer. It delivers pure sport-touring, without comfort taking a hit. The Speed Triple R, long known for hooligan riding, comes with a whole range of updates this year. Everything from the engine to the ergonomics was updated, but the most welcome improvement was the electronics. Other improvements include Öhlins suspension and bit and pieces made from carbon fiber. The tires from Pirelli are also quite impressive. In line with Yamaha’s growing interest in off-road racing, the YZ450FX comes to replace 2015’s YZ250FX. The new Yamaha offering is a full competition bike that features the right tweaks for transitioning from closed course to cross-country racing. The Audace comes with a lot of power, most of it being delivered in the Veloce mode, enough for rubber burning. The bike also comes with two other driving modes for use during cruising. The Audace comes in black and looks quite imposing. Handling is excellent, even with the 200mm wide tire in the back. This is a unique bike on the list, as it is the only electric motorcycle. Electric motorcycles have taken a lot of heat for their short range and the time it takes to recharge. However, fully charge one up and the fun is guaranteed. 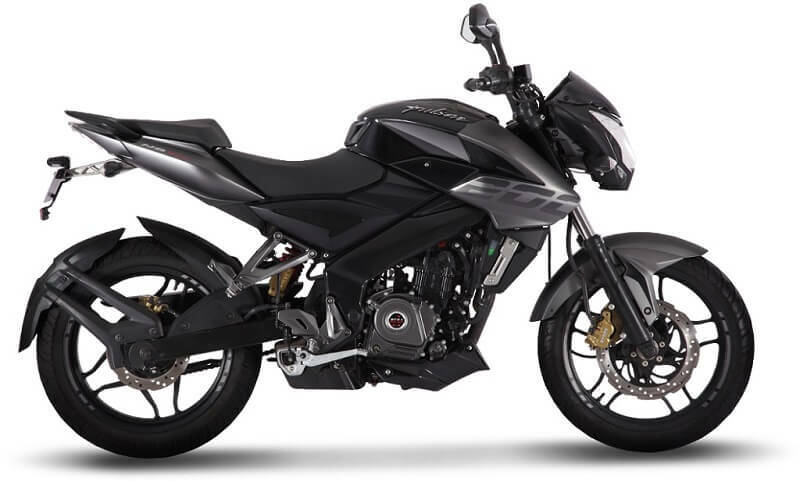 The Zero FXS is capable of doing monster stoppies and accelerate swiftly, all this being performed in neat silence. This allows for riding in places one would otherwise get turned away just for turning on a noisy bike. Did your favorite bike for 2016 not make it to the list? Frett not, just post it in the comments below. The model with maximum comments will earn the 26th spot!